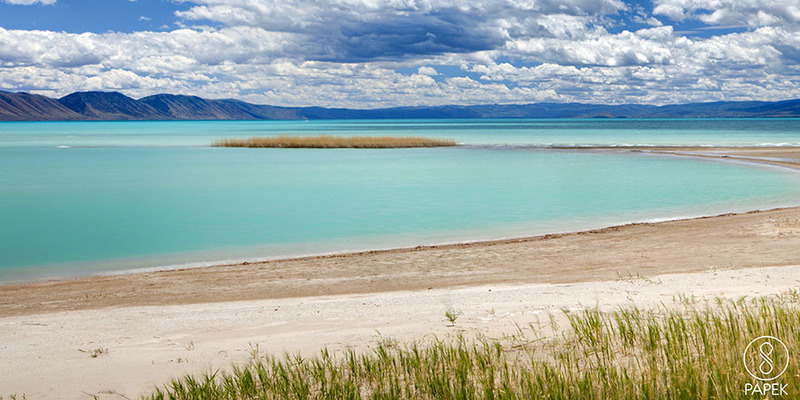 Bear Lake contains abundant suspended microscopic particles of white-colored calcium carbonate (lime) that reflect the water’s natural blue color back to the surface, giving the lake its intense turquoise-blue color. This color is why Bear Lake is know as the “Caribbean of the Rockies.” These particles of calcium carbonate are mainly derived from the abundant limestone of the Bear River Range. Photo © copyright by Scott Papek.